Who doesn't love eating watermelon during the hot summer months? Think of the sweet juicy goodness going down your throat! Hmmm. 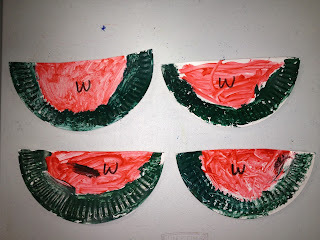 I usually do watermelons when we come to the letter w. These three activities would be a great complement to teaching the letter w.
I'll have one, I'll have one. I'll have two, I'll have two. I'll have three, I'll have three. You can download the 3 Watermelon Activities here. 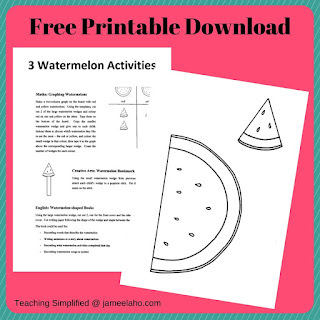 Here's a watermelon book that you might like to read to your children (my affiliate link). It's about a crocodile whose fear is to swallow a watermelon seed. I used to have that fear (lol) when I was little but did you know that the watermelon seed is actually good for you? But these days it's become a rare thing to have watermelon seeds because of the seedles variety!